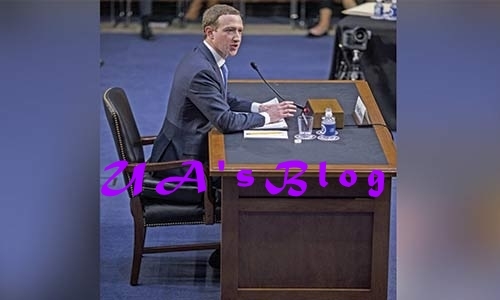 * Facebook founder and chief executive answers questions about the company’s use and protection of user data. Mark Zuckerberg, Facebook CEO, has appeared before a US Congress committee to answer questions about how the social media giant’s policies in the wake of a massive data privacy breach. During a five-hour testimony on Tuesday, the tech mogul said he was “sorry” about the Cambridge Analytica scandal, in which the private information of more than 87 million people was collected illegally. He was also asked about the alleged abuse of the social media platform by Russian groups to interfere in the 2016 US presidential elections. The 33-year-old Facebook founder confirmed his company is “working with” a special counsel investigating the alleged meddling, while warning of an “arms race” against Russian efforts seeking to exploit social media. In the high-stakes joint hearing of the Senate Judiciary Committee and the Senate Committee on Commerce, Science and Transportation, several Congress members voiced their dismay over Facebook’s actions or lack of action. Among the possible outcomes of the testimony are new rules on data protections that could limit Facebook’s ability to make money. Mark Zuckerberg spent the entire on Washington, DC, preparing for this meeting and you could tell,” said Al Jazeera’s Alan Fisher, reporting from the US capital. Below are some of Zuckerberg’s quotes during, as well as some of his exchanges with senator. “We’re investigating every single app that had access to a large amount of information in the past. And if we find that someone improperly used data, we’re going to ban them from Facebook and tell everyone affected.